No, I’m not talking bacon, lettuce, tomato sandwiches—although love that kind of BLT (as a treat of course!). BLTs are nutrition speak for bites, licks and tastes. Have you ever considered calories consumed throughout the day that aren’t a part of meals you’re consuming? 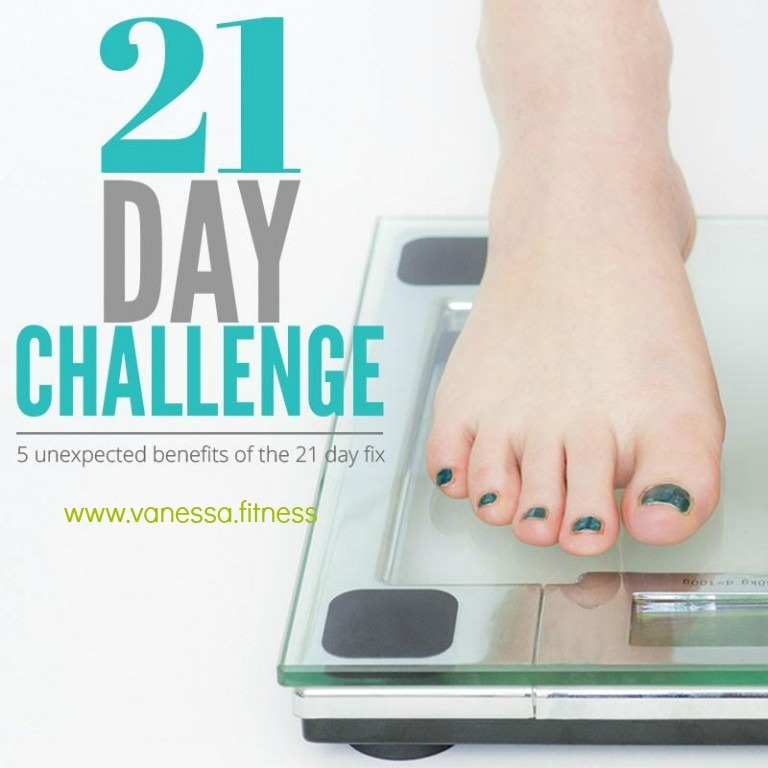 A little here, a little there – it can add up making it challenging to meet weight management goals. Stopping to get her usual coffee on her way to work, the coffee shop had samples of a specialty drink—with a pump of syrup and shot of whipped cream. Vendor gifts were always at work and unfortunately they never were fruit baskets. It was hard to resist on a day-to-day basis. Thinking nuts a better option she ate more than a small handful. They are definitely healthier than some alternatives but they’re primarily a source of fat. A good fat, yes but fat nonetheless and it’s often easy to overdo. One small handful is fine, but best to limit to that. On the way home from work she needed to pick up a few things at the grocery store*. With samples available every time she turned a corner combined with being a wee bit hungry, temptation got the best of her. Finally home, her daughter promptly presented the goody bag from her school party. One cookie was too hard to resist. Dinner over, there were just a few bites left of the prepared chicken dish. Not wanting to go to waste, she ate them. Sound familiar? How much did those bites, licks, and tastes add up to? In my client’s case it was over 600 calories—more calories than a Big Mac. Nothing wrong with an indulgence or two—after all it is the holidays but remember to eat what you love. All else is a waste and perhaps on your waist! Choose wisely and be mindful. A suggestion is to keep track of everything you eat - WRITE IT DOWN! When you have to write it down, you're less likely to eat that bite, take that lick, or taste that dish. Have BLTs kept you from your weight loss goals? If you haven’t heard of cloud bread yet, then I'm so excited to share the good news. This low-carb, "wonder" bread gives you the satisfaction of eating bread, minus the carbs. Made up almost entirely of protein, it is light and fluffy, but sturdy enough to bookend a sandwich or act as toast. This recipe, which I found on the Beachbody blog has only 47 calories per slice. The sandwich-sized rounds come out of the oven with a crisp exterior and fluffy, with a cloud-like interior. When stored overnight, they become soft and chewy. 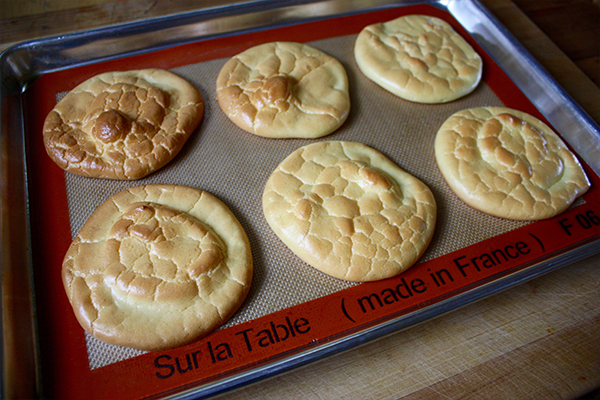 Cloud bread tastes faintly of egg, like a light and airy challah. You can adjust the flavor to your liking with a sprinkling of crushed herbs like oregano or basil, a dusting of paprika or cumin, or sweeten the batter with a dash of honey. 2. Lightly coat large baking sheet with spray. Set aside. 3. Separate egg yolks from egg whites. Place whites in a medium bowl. Place yolks in a separate medium bowl. Set aside. 4. Add cream of tartar to egg whites. Beat with a mixer on high until stiff peaks form, about 4 minutes. Set aside. 5. Add salt and yogurt to egg yolks. Beat with a mixer on medium until blended. 6. Gently fold ⅓ of egg white mixture into egg yolk mixture. Fold in the remaining egg white mixture until just incorporated, being careful not to overmix. 7. Using a spoon, transfer a scoop of egg mixture onto prepared baking sheet, gently spreading into a thick pancake shape about 3 inches in diameter. Repeat with remaining batter. 8. Bake for 25 to 30 minutes, or until golden brown and exterior is crispy to the touch. Immediately loosen cloud breads with a spatula; allow to cool on the baking sheet for 3 minutes, then transfer to a wire rack to cool completely. 9. Serve immediately, or store in an airtight container. 10. After being stored, eat as soft and chewy, or place in toaster oven for about 30 seconds to one minute to crisp the outside. ** NOTE: Store them in an air tight container in the refrigerator with some parchment paper in between each bun for up to a week. You can also freeze them in a single layer on a baking sheet, then transfer into a large Ziploc bag and store for up to 2 months. Since I was a teenager, I've been on a diet. I was chunky in my teens, weighing about 140 pounds on my 5'4" frame. Back then I tried EVERYTHING to lose about 10 to 15 pounds: cabbage soup diet, Slim-Fast, the Cookie Diet, low-fat, low-carb, and the list goes on! I'd lose the weight and gain it back, over and over again. Then, in my mid-20s I discovered weight training. I always exercised, but mostly cardio and step aerobics classes (now I'm really dating myself)!! 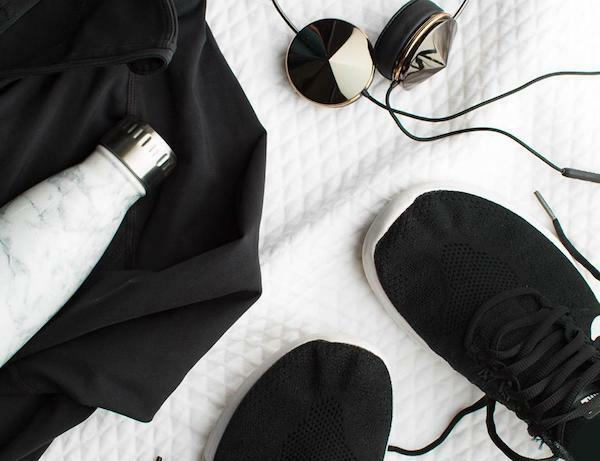 I taught fitness, and I loved it. Exercise was never a problem for me, it was food. I love food! I love carbs! But when I found weight training my body, and mindset suddenly changed. The weights transformed my body, so I saw muscle definition, and I lost inches and slowly the pounds started coming off. I was in my 20s, so my metabolism was still great! I ate healthy foods, but could eat dessert a few nights a week, even pizza, and pasta with healthy toppings was a staple, because I would go to the gym daily, lift weights, go for a run, and work off anything I ate. I would workout for about an hour a day each week, and in addition teach my 5 fitness classes weekly. My motto was "I exercise, so I can eat!" I kept the weight off and felt great! But then I had children. It started to become a bit more difficult to keep the weight off. I gave up dessert and pizza on occasion, and I still exercised regularly, an hour a day, plus teaching a fitness class. But I started having to cut out some of my indulgences, and started making healthier versions of them. That worked! Until I hit my 40s and got a job sitting behind a desk for nine hours a day. I hovered at the highest end of a healthy weight for my height, but in many ways, I’ve stayed a little obsessed with food. The foods I ate were healthy, but they were heavy in carbs and heavy in portions. 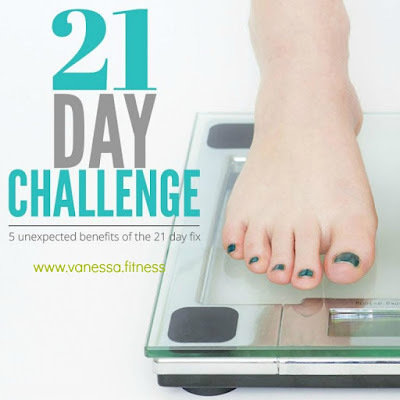 So, in September 2014, I heard about 21 Day Fix. I tried it, and I’m hooked. While this body of mine has been at a healthy weight for a whopping 20 years, my love food and large portions really has never changed. But doing the 21 Day Fix, drinking Shakeology, and adhering to the plan's portion control system has changed how I looked at food, and I so wish someone had shown me this way back then. Curious what I’ve found after sticking to it? 1. I have fewer stomach issues. I used to wake up with a sick-feeling stomach almost every single day, and constipated. Apparently that was somehow related to eating way too many carbs in large quantities, because I don’t think I’ve had a single stomach issue since starting the Fix (which is crazy to me? 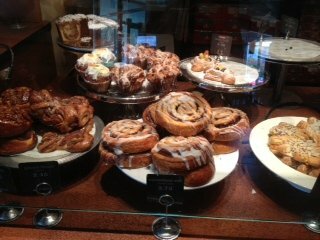 ), unless I stray and once again, eat too many carbs! 2. My skin is so much better. I’ve always had awful skin, and had horrible acne as a teenager. As an adult my acne cleared up, but now as I started peri-menopause, I noticed acne coming back! After being on the 21 Day Fix portion control eating plan, it's almost non-existent. Honestly this has been the biggest surprise, and I never would have guessed it! 3. I’m really not hungry. I expected to starve most of the time during the 21 days, but I eat plenty of food to satisfy me! 4. I need carrots. Or spinach. I cannot believe how much carrots and spinach fill me up. They’re amazing. Even though it hasn’t been easy, when I’ve really just been hungry I’ve reached for carrots instead of chocolate chips. (truth.) I am so much fuller, and can’t believe the difference choosing the right foods has made. 5. Eating the right foods and exercising the right way changes your shape more than just eating fewer calories does. My body feels a little stronger and looks a little better because of choosing the right foods and exercising correctly. I'm fueling my body. I love that. And, I love that I’m exercising just 30 minutes each day, instead of an hour or more in the gym! Message me at vanessadotfitness@gmail.com or fill out the form below for more info! 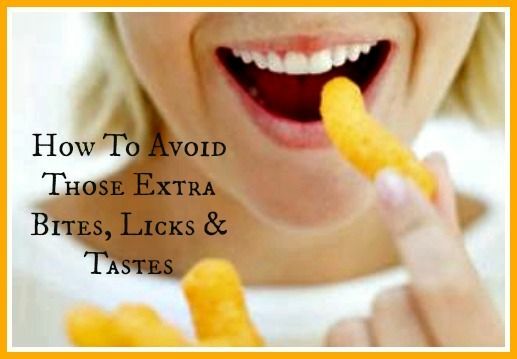 Do you OVEREAT HEALTHY foods? Before I became a Beachbody coach, I exercised, ate healthy foods, I avoided white bread, processed foods, and soda. I ate whole grains, green veggies, lean meats, fruits, nuts, healthy oils, and heap my plate with these healthy foods, most nights at dinner going for seconds, and most afternoons snacking on air popped popcorn, or healthy, homemade baked goods. It was healthy, right? I didn't understand why I wasn't losing weight. I ate all the "right" foods, I exercised, I was HEALTHY, and proud of it. Rarely did I gorge myself on these foods, but I never realized my portions were too large. A serving of carbs was a bowlful, and with healthy, whole grains I ate as much as I wanted. Fruit, another healthy food, sometimes I would eat four or five pieces a day. Portion control eluded me. Until, I started the 21 Day Fix. What the 21 Day Fix did for me, aside from just helping me lose weight, was help me to learn what a correct portion of food should look like. While it was great that I was eating "healthy foods," I was eating too much of it. I lacked enough veggies and protein servings in my diet, and overate it carbs, fruits, and healthy fats. While my body was getting nutrients it needed, this lack of portion control fought my efforts to lose weight. When I received the 21 Day Fix and Shakeology Challenge Pack in the mail, opened up the package and saw those portion containers I panicked! They are SO tiny! How would I survive on such small portions? I learned quickly that I could have more than one of each container a day, and how much food I could stuff in them. The 21 Day Fix container rule: if it fits with the lid, you can eat it! This means if the corresponding food fits in the color coded container with the lid, then I can eat it. The 21 Day Fix includes color coded containers for each food group. Instead of counting calories, you count containers. If it fits in it you can eat it. The program comes with a formula, based on body weight, to calculate and determine how many containers each individual person can have in a day. It comes with a meal plan guide book that told me what foods correspond to each of the containers. In addition to all of those containers, I also had to drink half of weight in ounces of water a day and commit to doing the 30 minute exercises each day for 21 days. 4 protein servings (red containers) Shakeology counted as one of my reds! Thank goodness because this was my most difficult container to get in each day. I was glad to have one that was easy to make and tasted great! I learned what a portion, one serving, looks like, and when I ate according to the allotted containers each day, I wasn't hungry. The first few days, my excitement motivated me. After the first two weeks, I thought about going back to my old ways, but after the 21 days, these portions became a habit. It took me two rounds to get the results I wanted. The first round got me on track, and got rid of the bloat and some of the pounds I wanted to drop. The second round I lost a few more pounds, leaned out and toned my body. I did three rounds before I moved on to a new program, but to this day, I still use the container system and this way of eating. This wasn't a restrictive diet, eliminating certain foods, instead it was a lifestyle change. The best part was it was easy to incorporate this into what my family was already eating for dinners. (I only had to tweak a few things), and this lifestyle allows me to have a few cheats, now and then. It is flexible! It allows swapping out a yellow container three times a week for some chocolate, or wine. So, I never feel deprived. Below is an example of one of my meal plans. As you can see I eat a good amount of food, and I get to eat every two to three hours. If you struggle with portion control and think the container system would be helpful for you, I encourage you to consider joining my upcoming accountability group. You have nothing to lose except the weight you have been carrying around, and everything to gain. The past 3 months I haven’t been as strict with my nutrition. I haven't been eating junk, but it just hasn't been that great. 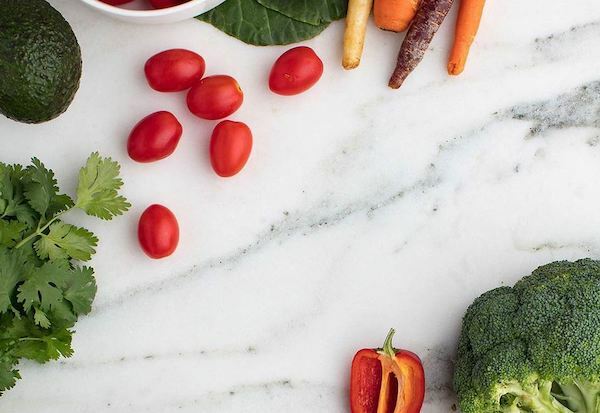 Even though I have eliminated many chemicals from my diet and eat very clean, life has thrown me a few plot twists, which tossed my eating schedule into craziness. Then add stress and high cortisol levels, and well, my portion sizes have been out of control, proof that I can eat as clean as I want, but portions have to stay in check. Because of large portion sizes, a few pounds crept on, and I noticed that no matter how much I exercised, my weight would stay the SAME. And if I didn’t exercise, or eat well, I’d GAIN weight VERY easily. Because I haven't been following my nutrition plan closely. Although I was eating clean, much of the time, I still need to apply the 90/10 rule if I want to lose the last 10 pounds! The rule is to eat clean 90 percent of the time, balanced with a cheat 10 percent of the time. And while I haven't been eating many cheats, I've just been eating TOO MUCH FOOD! It's time to lose these 10 pounds, and feel better in my clothes and about my health! It's time to restore my body! I am thankful for my Shakeology, as I believe it kept me from gaining weight even more rapidly. But the probiotics and digestive enzymes in Shakeology can only do so much on it’s own. It’s like holding a single umbrella over your head during a hurricane. Our body needs to be restored and given a chance to heal itself with the OTHER foods we eat. My March into Fitness and Health group is going to be a little more UNIQUE. For my clients, I am going to share meal plans and foods that will help RESTORE your body and IMPROVE your health. I am going to teach you foods to eat more of and less of so you can start feeling better. I’m going to include a meal plan that you can incorporate with your portion control containers and at home fitness. This offer is EXCLUSIVE to my CURRENT an NEW clients. 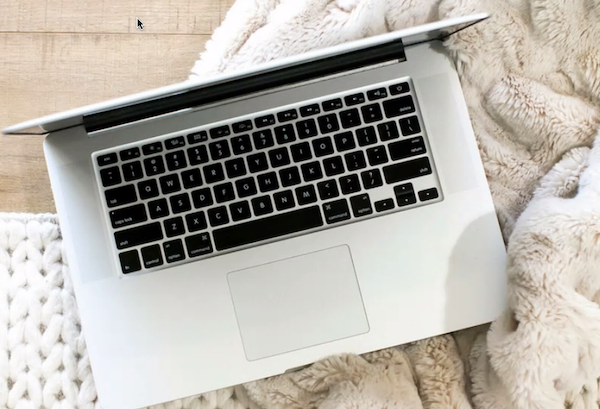 I will be hosting a live webinar on Sunday, March 20 for all clients selected and have registered with me by Friday, March 18. 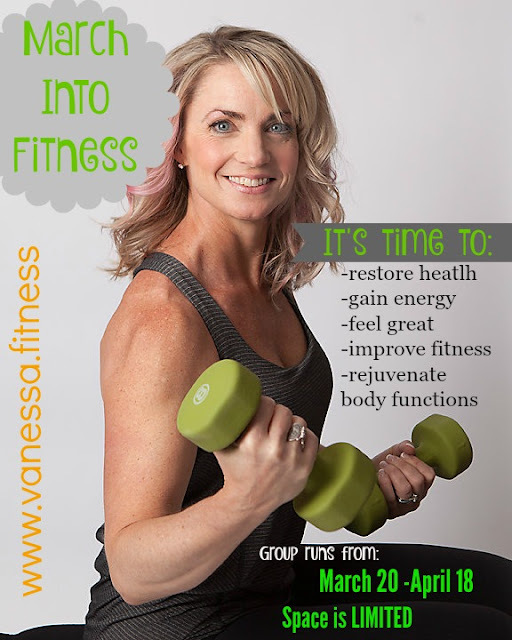 If you have the same struggles as me, just want to FEEL BETTER and are ready to learn about foods that may help, Connect with me at: vanessadotfitness@gmail.com or fill out the form below. Do you love Chinese food? How often do you order out for dinner? Well, you can forget that drawer full of restaurant take out menus -- it's time to make fried rice with chicken, right in your own kitchen. Okay, it's neither fried nor rice, but boy, it's delicious! 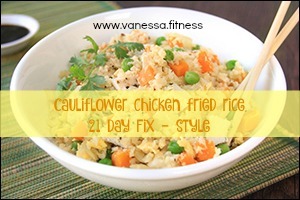 Fried Rice is one of my favorite dishes, but the calories and sodium keep me away! This recipe allows me to enjoy the dish and stick to my clean eating plan! The first time I made this dish, I thought it was labor intensive, because I had to "rice" the cauliflower by chopping it up and pulsing it in the food processor. Now, I buy Trader Joe's frozen organic riced cauliflower, and the rest comes together easily! However, I've included the instructions below on how to rice the cauliflower if you can't find it pre-riced and frozen. Sometimes, I even use store bought rotisserie chicken, and it's even quicker to make! AND, the list of benefits keeps growing, because if you're following the 21 Day Fix, it's about half a yellow container for the peas! 2. Season chicken with salt-free seasoning, and lay on the baking sheet. 3. Bake until chicken is cooked through, about 20 minutes. 4. Meanwhile, working in batches, pulse cauliflower in a food processor or blender until reduced to small rice-like pieces. 5. Chop cooked chicken into bite-sized pieces. Place in a large bowl, and cover to keep warm. 6. Bring an extra-large skillet sprayed with nonstick spray to medium heat. Scramble egg whites/substitute until fully cooked, about 3 minutes, using a spatula to break it up into bite-sized pieces. Transfer to the large bowl of chicken, and re-cover to keep warm. 7. Remove skillet from heat; clean, if needed. Re-spray, and bring to medium-high heat. Add frozen peas and carrots and 2 tbsp. water. Cover and cook for 3 minutes, or until thawed. 8. Add cauliflower, onion, sesame oil, and garlic to the skillet. Cook and stir until veggies have mostly softened, 6 - 8 minutes. 9. Add scrambled egg whites/substitute, chicken, and teriyaki marinade/sauce. Cook and stir until hot and well mixed, about 2 minutes.